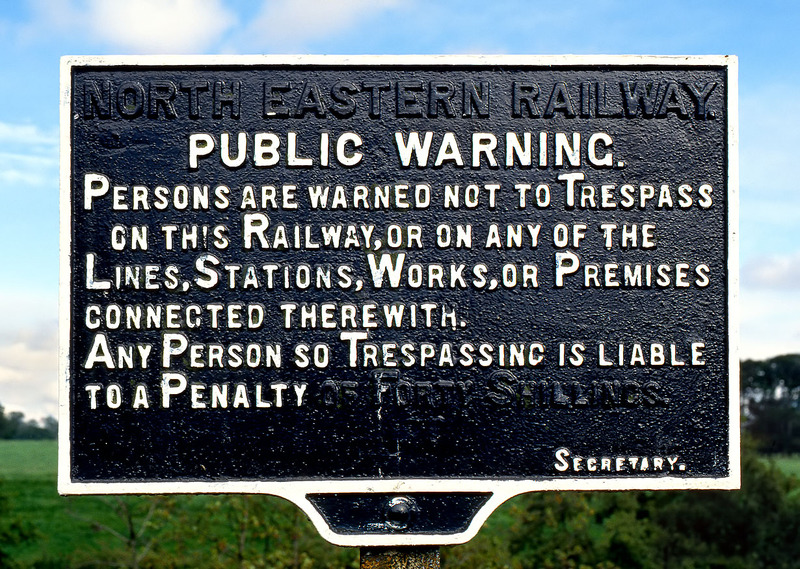 As late as 30 August 1993 this cast iron North Eastern Railway trespass notice was still serving its original purpose next to the York to Scarborough line at Huttons Ambo. Rather than replacing it with a more modern version, the former owning company and pre-decimal penalty have been painted out. I can't imagine that this still survives, as if Network Rail haven't replaced it by now, it has sure to have been spirited away into someone's railwayana collection!